I use Mantech for most parts. Good prices and wide range. Hello free advertising! Pots I get from Tayda Electronics (still waiting for them). 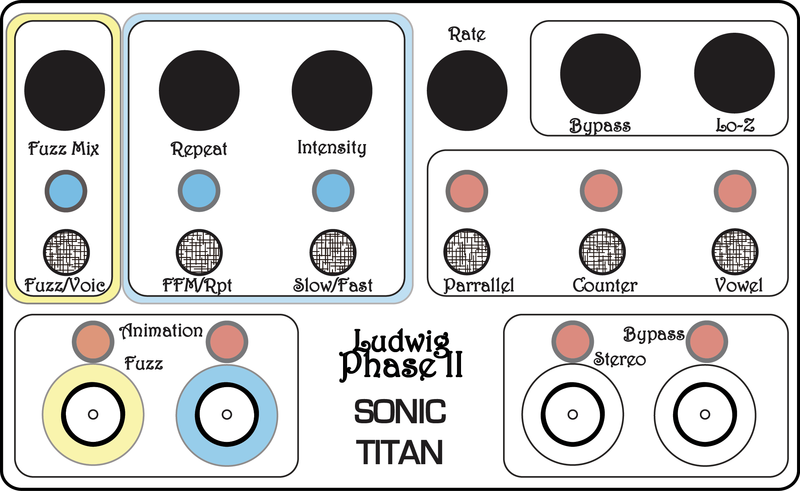 Well, it’s this (image below) the Phase 2 Synthesizer turned into a stompbox format. Ludwig ( a drum company) produced less than a 1000 of these decades ago. automatically by an “animation” oscillator or a foot controlled rocker pedal. Mr RG Keen (the yoda of guitar effects) produced a project. Not a beginners project – lots of things to go wrong here! Still don’t know what it is or does? Well… Me neither! That’s why I had to build one for myself! I would really appreciate that you ask my permission before using pictures of my unit in your blog (“Pictures of a completed pedal”) . I don’t mind my pictures being used, but please provide credit reference for the pictures. If not, please remove them from your blog. So sorry – I’m a bit new to internet etiquette. I’ll get on it ASAP.